Why Do Things Go Wrong In Life? As we grow up, we all take on a variety of beliefs about ourselves and the world around us. In effect, these beliefs are like a PC’s operating system – they are the programs that make us function in a certain way in the world. The reason our beliefs are so powerful is because, by definition, they are the foundation of how we think about ourselves and the world around us, and also how we operate in it. And our beliefs are things that we know, with absolute certainty, to be true. The power of your mind can attract whatever you want – provided you don’t have contradictory beliefs. Read on to find out more….. Problem is, you might not be aware of your limiting beliefs! So you sit down to use principles of Law Of Attraction to get a nice big house, and you picture it, and yourself living in it, in great detail … and you do all the other things that people recommend when you’re trying to create reality … and what happens? Nothing. A big fat zero. Almost certainly this is because you don’t really believe you can actually get a nice big house. If we dig a bit deeper, as to why the Law Of Attraction doesn’t work, it’s almost certainly because you hold some belief about yourself, or about the world, which prevents you truly believing it’s possible to manifest a large house. Examples of such beliefs might be: “I’m not worthy of living in such a house.” “No-one in my family’s ever had a house like that, so why should I?” “Only rich people live in houses like that, and I’m not rich.” “It’s just too grand for me.” “I’m not good enough…” And a million more possibilities besides! The reality, of course, is that just because you believe something to be true doesn’t actually mean it is! 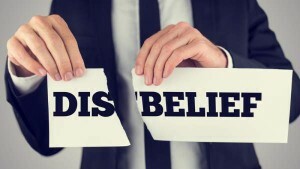 Can you distinguish between false beliefs and real beliefs? For example, almost all prejudice comes from faulty beliefs, or generalizations and expectations which have been based on information that’s not in the least bit accurate. Faulty beliefs can originate from something you heard another person say, or from interpreting your own experience incorrectly …. But that’s not the point that matters here. What’s important is that the beliefs or thoughts which form part of your brain’s “operating system” actually control whether or not you are successful at getting what you want, at manifesting your reality. 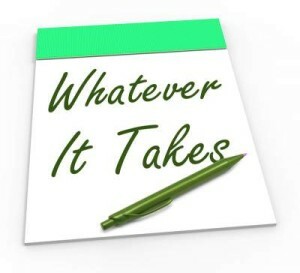 Have a strategy to get what you want. OK, so suppose you’re trying to attract money. Do any of the following statements resonate with you? Money doesn’t grow on trees, you know! There’s never enough money to go round. You have to work so hard to make money these days. The only people making money are the people I wouldn’t want to be! There isn’t enough money to go around these days. The rich get richer and the poor get poorer. Why should I be rich when half the world is suffering? So you want a new job? Do any of the following statements resonate? But the economy is so bad, it’s impossible. There are no good jobs available. I’ll never get a good job. I can only get minimum wage jobs. I’m not educated enough to get a decent job. Or perhaps you’re trying to use the Law Of Attraction to get a relationship? Then how about these statements? I’m not attractive – no one will ever want me. What’s the point, the divorce rate is so high? I’ll just get cheated on like I have before. My parents couldn’t hold a relationship together, so why should I be able to? I’ll just get heartbroken as usual. There’s nobody out there who is right for me. Now, clearly none of these statements are necessarily true, but if you believe them they will completely prevent you manifesting what you want. So it’s time to upgrade your own operating system, to incorporate new beliefs that will indeed create the life you want, or more accurately, will allow you to create the life you want. You simply can’t do it if you’re running belief systems that are unhelpful, out of date and inappropriate. But, as always, the question is – just how do I do that? In fact, there are more ways you can even begin to imagine: hypnosis, autosuggestion, visualization, repetition and the hard experience of failure. (Yes, failure: because the value of failure in achieving success is that failing allows you to change your belief system by gaining new experience and knowledge). And that’s just a few of them! There are some other wacky ones out there, such as emotional freedom technique or EFT tapping, eye movement desensitization, and conventional or unconventional therapies such as shadow work, counseling and psychotherapy – all of which can shift limiting beliefs and replace them with something new. These quick and simple ways to change your belief system allow you to …. Then you can get what you want. Yes, it really is a simple as that: using the Law Of Attraction is about getting what you want. First, though, you need to accept you can have your desires, that you are worthy of having them, and you must believe you can get them. The way you speak to yourself, your inner speech, your inner dialogue is a major factor in both expressing your beliefs and changing them. For example, I should think many of us have been in a position where we’ve had a job that turned out to be something of an ordeal, perhaps because the boss was a bully or our co-workers were challenging. I know I’ve been in that situation, and I know that towards the end of my time in one particular job, I was dreading going into work, expecting my boss to behave in a certain way, dreading it, living through it, and seeing no way to change it. Needless to say, I was trapped. My belief system was clear: I was a victim, the boss was in charge of my destiny, and I could do nothing about it. In fact this was one of the first times I ever used the Law Of Attraction. Without much hope, I must confess, I went through an exercise in which I visualized myself standing tall and strong, facing up to my boss and holding my ground, not allowing myself to be victimized. 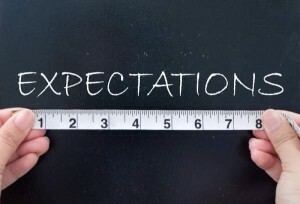 Change your expectations and everything else may change as well…. In the face of such strength, I visualized my boss giving way, or yielding, and leaving me alone. These days I might do it differently, making forgiveness and reconciliation as part of the picture but at the time that was my belief about what I had to do. I guess you won’t be surprised to learn that after a week of consistently visualizing my desired outcome, there came a day when I went into work and my boss didn’t come up and harass me the moment I arrived. And indeed, from that day onwards things changed completely: while I never developed what I’d call a good working relationship, I certainly moved into a place where there was no victimization or bullying going on towards me. Another person I worked with, doing personal coaching on the Law of Attraction, used a different technique: she visualized herself having a positive, friendly conversation with her boss every day for a week. Sure enough, on the sixth day, just like she’d seen in the mental conversations she’d been rehearsing with her boss, he greeted her warmly for the first time in her life – and continued to behave politely towards her until she moved on to another post. A man is literally what he thinks, his character being the complete sum of all his thoughts. Cherish your visions. Cherish your ideals. Cherish the music that stirs in your heart, the beauty that forms in your mind, the loveliness of your purest thoughts, for out of them will grow all delightful conditions. And if you only remain true to them your world will at last be built. The soul attracts that which it secretly harbors: that which it loves, and also that which it fears. Men are anxious to improve their circumstances, but are unwilling to improve themselves, they therefore remain trapped where they are. Every action and feeling is preceded by a thought. 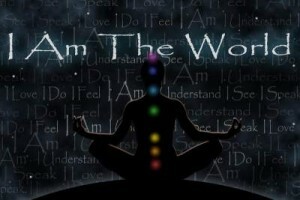 Powerful, manifesting and right thinking begins with the words we say to ourselves. You cannot travel forward within and stand still without. As the physically weak man can make himself strong by careful and patient training, so the man of weak thoughts can make them strong by exercising himself in right thinking techniques. Every man is where he is by the law of his being; the thoughts which he has built into his character have brought him there, and in the arrangement of his life there is no element of chance, but all is the result of the law of creation (or law of attraction, if you prefer). 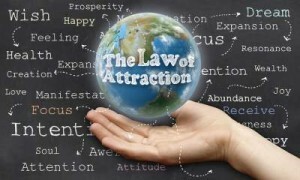 Make The Law of Attraction Work For YOU! 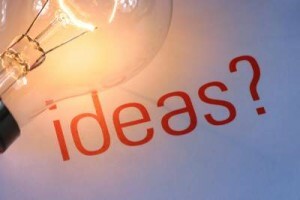 Not having much success with The Law of Attraction, or only manifesting small things? Well, now’s the time FOR YOU to break through to a whole new level of success! 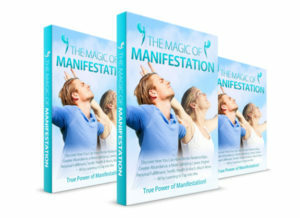 We are giving away 200 FREE COPIES of our amazing, destiny-defying eBook which shows exactly how to make manifestation and the Law of Attraction work for you. Manifestation Magic is an action-packed 100 page eBook which reveals the secrets of how you can get whatever you want (money, jobs, relationships, prosperity, abundance and more) by using the Law Of Attraction. Manifestation Magic is “The Real Secret” of success! And it really will change your life. So, if you want to use The Law of Attraction to have everything you desire – FREE – simply fill in the form below and become master of your own destiny RIGHT NOW! The secrets of manifestation on this site will allow you to create the life you desire.